Sgt. 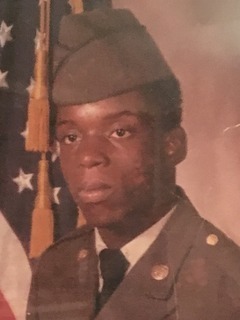 Curtis Bowers, United States Army, Retired, age 58 of Garfield Heights died at Louis A. Stokes Veterans Administration Medical Center on January 10, 2018. He was the beloved father of Ashley (Adrian) Murry of Texas, Shanikquaw Bowers (Michael Liggins) of Texas and Jenality (Sean) Wheeler of Florida; grandfather of 7; brother of Christine Macklin, Christopher Bowers, Carl Bowers and Calvin Bowers; former husband of Karla Johnson. Curtis was a man of legendary faith, leadership, and work ethic. Despite his many passions, none surpass his desire to care for family and those around him. A son, brother, father, soldier, and friend; the absence of Curtis will resonate for a lifetime. May he Rest In Peace. Mr. Bowers will be inurned in Ohio Western Reserve National Cemetery in Seville, Ohio at 1:30 PM on Wednesday, January 17, 2018 with military honors. A funeral mass at Shrine Church of St. Stanislaus 3649 E. 65th St. Cleveland, Ohio 44105 is pending. Please accept my heartfelt condolences on the death of Mr. Bowers. I had the privilege to get to know him during our home visits. He loved his family and expressed his appreciation at the willingness of his daughters to care for him in their homes. Besides his health, we talked politics and his favorite foods. I will be forever grateful for having known such an exemplary human being. May God provide you with solace and the love and kindness of friends during the months ahead. Thanks very much Ms. Fett! I’m Karla, his ex-wife and friend. We appreciate all of your care and wish we would’ve known more and did more! We weren’t neglecting him, but he constantly reassured us, he wouldn’t hesitate to call? We weren’t there, but I talked to him everyday. After hearing him say that he was Cancer Free I thought things were on track! If I know what I do now, I promise you I’d have went through hell and highwater to take care of him! I live in Houston Texas and we have awesome Cancer Treatment Facilities. I’d consulted M.D. Anderson and Baylor College of Medicine. I really wish I would’ve crossed some boundaries and took charge of his care! Curtis Bowers was a wonderful, loving person and our daughters and grandchildren were proud to call him Daddy and PaPa! I’m praying for healing of our hearts and live the way he taught us, living for the Lord and having faith unshakable! Curtis Bowers is irreplaceable even before he passed away!